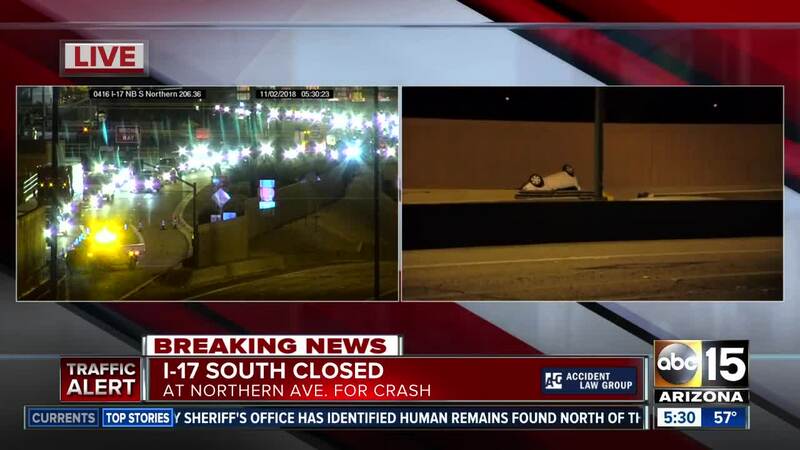 Southbound lanes of Interstate 17 have reopened after a serious crash involving racing vehicles near Northern Avenue. 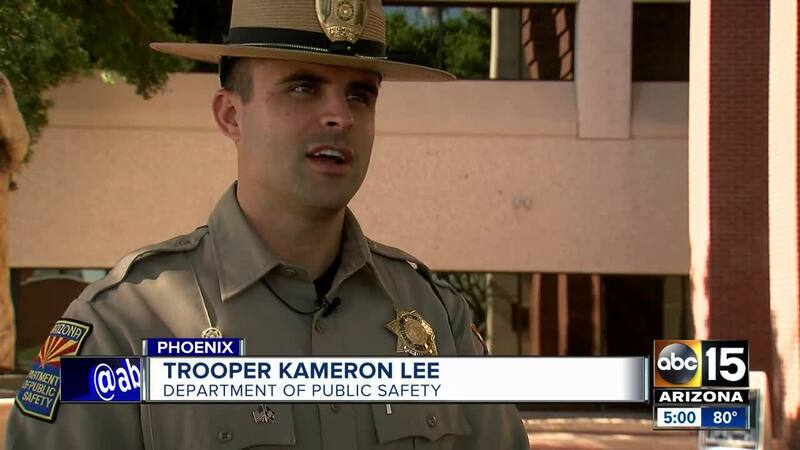 According to the Arizona Department of Public Safety, the crash occurred around 2:20 a.m. Friday. One vehicle lost control, hit a second car and then rolled. The driver of the car, a woman, was ejected and suffered life-threatening injuries. DPS says another vehicle was hit by one of the cars, but the driver who was hit is said to be OK.
One of the drivers involved left the scene. Traffic was completely blocked for most of the morning, and started to reopen around 9:30 a.m.